Would you like to improve your confidence in speaking before an audience? Want to improve your presentations at work? Have a wedding or special event speech to make? Want to be more persuasive when you speak? Maidenhead Speakers Club can help! 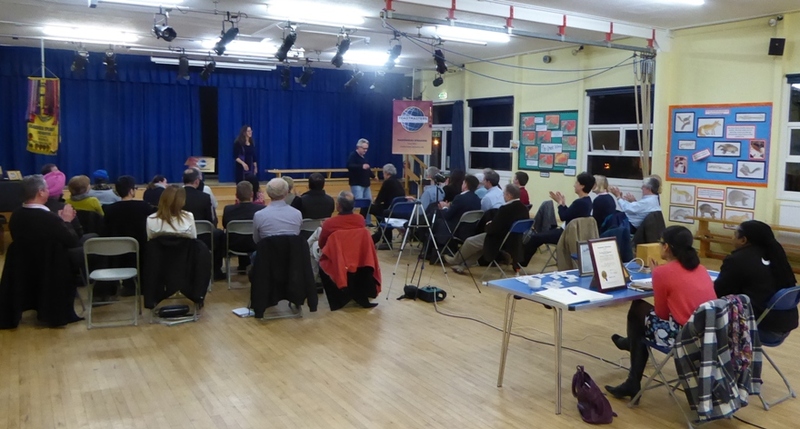 We are a public speaking club based in Maidenhead, Berkshire, affiliated to Toastmasters International. Our meetings are usually held on the 2nd and 4th Monday of the month, plus the 5th Monday when it occurs. Whether you want to give business presentations, speak at conferences, run training sessions, or just make people laugh, Toastmasters is great way to build your public speaking skills. You will also have the opportunity to participate in meeting roles and build your leadership skills. If you’d like to know more, you are welcome to come along and attend a meeting as guest. Toastmasters International, is a worldwide organisation of over 10,000 clubs and 250,000 members in more than 90 countries dedicated to effective public speaking and communication. Interested? Please get in touch We would love to hear from you!